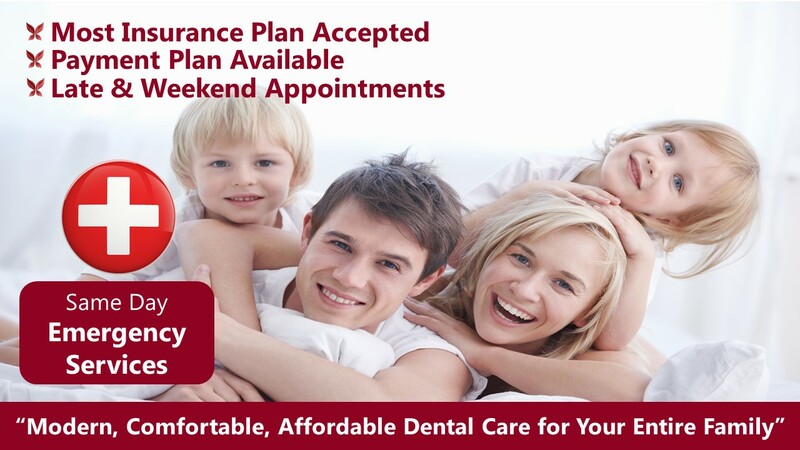 Life Will be Different At Aria Dental! A dental emergency happens at unexpected time and are not predictable. However, it is important to treat dental emergencies as quickly as possible. If you are in pain or an emergency, our team at Aria Dental of Mission Viejo will make any attempt to accommodate for emergencies and see you immediately. We are conveniently located near Mission Hospital off of I-5 Fwy and Crown Valley Pkwy and serving all cities in Southern California, including Mission Viejo, Ladera Ranch, Laguna Niguel, San Clemente, San Juan Capistrano, Rancho Santa Margarita. What Is a Common Dental Emergency? If you are experiencing any of the following conditions, you need to call Aria dental immediately to see Dr. Maryam Horiyat. Toothache can be caused with various factors. However, tooth decay or fractured tooth are often the primary causes of toothache that can lead to endodontic abscess, Necrotic tooth, or periodontal abscess. Endodontic Abscess & Necrotic tooth: When there is an acute injury, abnormalities of dental pulps, chronic exposure of bacteria to tooth nerve due to extensive cavities, it could lead to pulpitis (tooth nerve inflammation) or necrotic tooth (dead tooth). As the result of damages to tooth nerve, the patients can experience pain or sensitivity to cold and hot temperature changes. The way to resolve this issue is to access the canal of the tooth and clean out the infection. Periodontal abscess: A periodontal abscess can form from something as simple as a small food particle getting stuck underneath the gum or from chronic gingivitis (gum inflammation) caused by plaque or tartar. Swollen mouth or face are commonly caused by extensive chronic infection of tooth or gum that spread out to the surrounding bone and soft tissue to face. This emergency condition can be very debilitating and life-threatening condition and needs immediate treatment. A broken or chipped tooth can happen at unpredictable time regardless of your age. It could happen when you are eating or during any injury like accidents or sport. However, the degrees of dental emergency could vary. Sometime the broken or chipped tooth causes the exposure of the nerve, which ultimately causes toothache and infection. Other time, it can chip or break in a way that compromises your smile and aesthetic. Regardless of degree of your dental emergency, Dr. Maryam Horiyat can resolve your dental situation with composite bonded restorations, dental crown or porcelain veneers. These can be done at Aria Dental serving the people of Mission Viejo, Ladera Ranch and all the surrounding cities in Southern California. 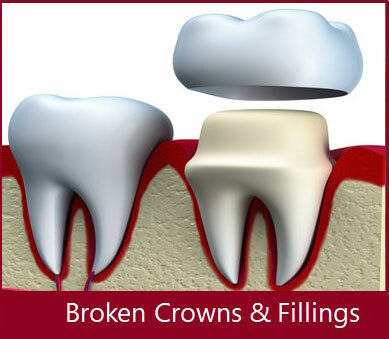 Dental crowns and fillings are placed onto an existing tooth that are damaged to restore their function and beauty. Unfortunately, any dental restoration just like natural teeth can sometimes breaks or fall off when are under pressure. When any dental restorations like a crown falls off or is loose or fractured, it can cause discomfort, sensitivity to hot/cold, or pain. Sometimes, patients experience no pain with missing crown and fillings. Regardless of having pain or not, you need an emergency appointment with Dr. Horiyat to protect your tooth from infection and fracture. Patients with conventional dentures often say that chewing and talking is a difficult task. If you have lost or broken dentures or partials, these tasks can be even more challenging, if not impossible. As with so many things in life, your dentures have probably broken or lost at the most unpredictable times. No matter when your dental emergency happens, your dentist at Aria Dental can resolve your emergency situations immediately. According to the Journal of the American Dental Association, it was reported that 13-39% of all dental injuries are sport-related injuries. These types of injuries can cause a wide range of damages: from a simple fractured or chipped tooth to more complicated dental traumas such as dislodged tooth or avulsed tooth. Immediate evaluation and proper management of the most common injuries to dentition can result in saving or restoration of tooth structure.